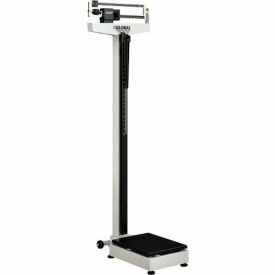 Medical, Veterinary, Baby, Bariatric Scales at Global Industrial. Mechanical Physician Scales Reliably And Quickly Weigh Patients For Use In Hospitals And Private Practice Doctor's Offices. Physician Scales are made with an eye-level design and are constructed of heavy duty steel for long lasting durability. Physician Scales feature a large anti-slip steel platform and traditional arm/rod design. Available in a variety of styles and weight capacities. Dimensions vary per model. Digital Wheelchair Scales Ensure Wheelchair Weight Accuracy For Clinics, Hospitals, Medical Offices, and more. This wheelchair scale is designed for wheelchairs, straight-legged chairs, or may be used as a stand-on scale for application versatility. The large weighing platform supports ambulatory and wheelchair-bound individuals making it ideal for patient comfort and security. Most scales feature dual sided, sloped ramps that allow convenient access from either side. The steel construction provides strength and durability ensuring years of reliable service. The easy-to-operate LED display provides high readout visibility and convenient user control. 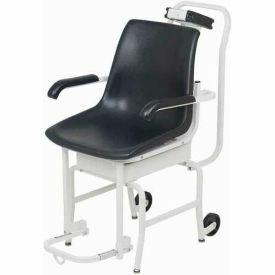 The integrated wheels allow ergonomic unit mobility for transport ease. Includes adjustable foot pads for uneven surface stability. Dimensions and weight capacities vary per model. Digital Physician Scales Provide Medical Grade Accuracy For Use In Hospitals, Health Care Facilities, Nursing Homes And More. 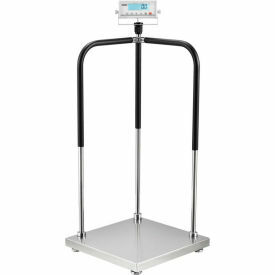 Scales feature digital weight readability with LCD displays and anti-slip platforms for patient safety. Some models include 2 or 4 wheels for portability and mechanical height measurement rod. Available With or Without Height Rod. Available load capacities are 390, 400, 500, 550, and 600 lbs. Dimensions vary per model. Baby Scales Are Used For Pediatric Doctor Offices And Hospitals. Baby Scales are made of heavy duty steel for long lasting durability. Baby Scale Readout types available are Mechanical and Digital Baby Scales are available in a variety of styles, weight capacities, accuracies and features. 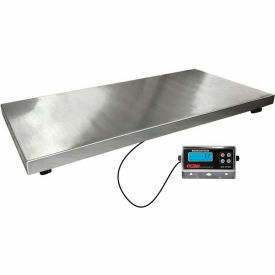 Veterinary Scales Are Used For Veterinarians, Kennels, Labs And Animal Handlers. Veterinary Scales are made of heavy duty steel for long lasting durability. Scales are available with 50 lb/20 kg, 330 lb/150 kg, and 400 lb/180 kg capacities with .02 lb/.01 kg, .2 lb/ .1 kg and .2 lb/.1 kg accuracies, respectively. Scales feature Stainless Steel Platform, Coiled Cable, Adjustable Mounting Bracket for Indicator, Automatic Sleep Mode, Automatic Zero Tracking, Hold Feature and Battery Powered. Chair Scales Are Used For Those Who Have Difficulty Standing For Weight Measurements. Chair Scales are made of a powder coated steel construction for long lasting durability. Oversized for user comfort and convenience. Arms and footrests lift away for easy access. Rear wheels lock for safety and fronts swivel for easy portability. Easy to clean plastic seat. Available styles include CS-200M and 250 Chair Scale, Digital Chair Scale, Digital Chair Scale w/EMR Connectivity, Digital Chair Scale w/Rechargeable Battery, Euro Chair Scale, Mechanical Chair Scale and Rolling Chair Scale. Capacity in lbs are 400, 440, 550 and 600. Readability in oz. are 3.5 and 4. Grams and KG readouts also available. Dimensions vary per model. 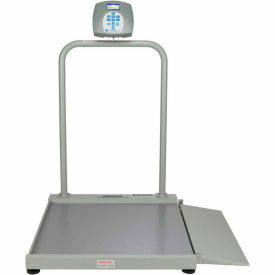 Bariatric Scales Provide Measuring Accuracy For Applications Including Medical, Laboratory, And More. Bariatric scales are made of steel for dependability. 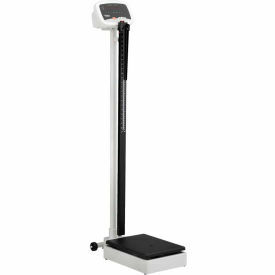 Scales electronically measure patient weight and height for hospitals, clinics, health clubs, and more. Handrails and low-profile platform with non-skid surface ensure patient stability. Features easy-to-read LCD display for user convenience. 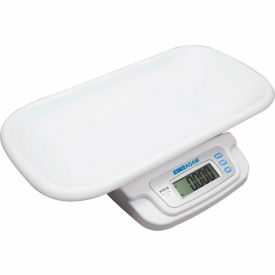 Available styles are Bariatric Flip Seat Scale, Bariatric Scale with Digital Height Rod, Digital Bariatric Platform Scale/EMR Connectivity, Digital Bariatric Platform Scale/EMR Connectivity/Large Platform, HS-300 Physician Scale, MS140-300 Physician Scale, Portable Bariatric Scale, and Waist-High Stand-On Scale. Weight capacities are 600, 660, 800, and 1000 lbs. Readability is 3.5 and 4 oz. Grams and KG available. Dimensions vary per model.